The MatchBox solution to lipsync coherence and line identification requires a Generator (at the source) and a Reader (at the destination). Generator and receiver are supplied in a 1RU enclosure, which can process either one or two channels. Channels may be a pair of generators, a pair of readers or one of each (selectable as purchase options). Dual redundant power inlets and dual fans are supplied as standard. A complete test pattern generator. Wide range of patterns, sophisticated tone and audio indent generation, with slick text indent. All rapidly configurable through an intuitive and responsive control system. Measurement with precision! Probably the most accurate measurement of AV Timing, Coherence to +/-0.01 audio sample, and level to +/-0.01dBFS. If it is precision you need, you can trust Matchbox to deliver. A featured and modular 4K capable TPG and Identing solution. 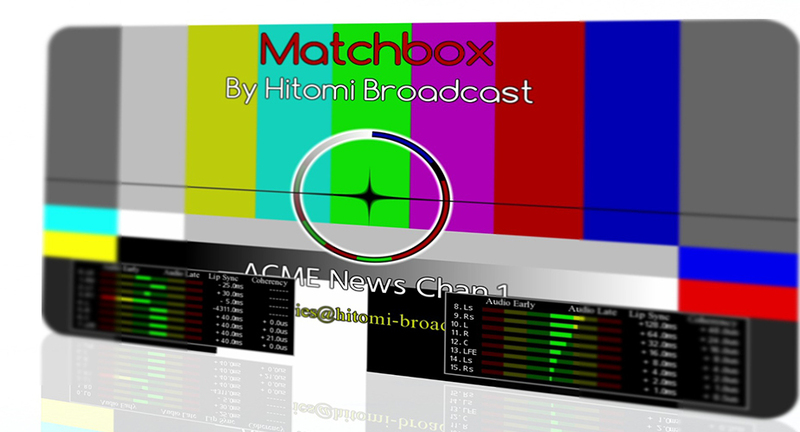 Supporting upto 16 video channels in 1RU and with all the advanced Identing features of MatchBox. 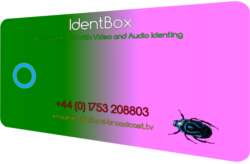 The IdentBox is here to streamline your Video and Audio Identing needs. Modular 1RU frame enabling expansion and future proofing. Hosts up to 4 Generator and/or receivers with a distributed frame reference. With the trusted rock solid Matchbox technology inside.